To celebrate the launch of our first Modern Cultural Curators documentary, which considers Kally Ellis of McQueens Florist, we've put together a list of our top ten flowers on film moments. From the enchanted poppy fields in the Wizard of Oz to a mobster florist in The Town, and the blood-red roses in American Beauty to the delicate cherry blossom in Memoirs of a Geisha, we explore the important role of flowers in cinema in terms of their symbolism, timeless beauty and visual impact. 1. The vivid red American Beauty rose is not only the namesake of Sam Mendes' 1999 Oscar-winning drama but is also one of its most defining motifs. 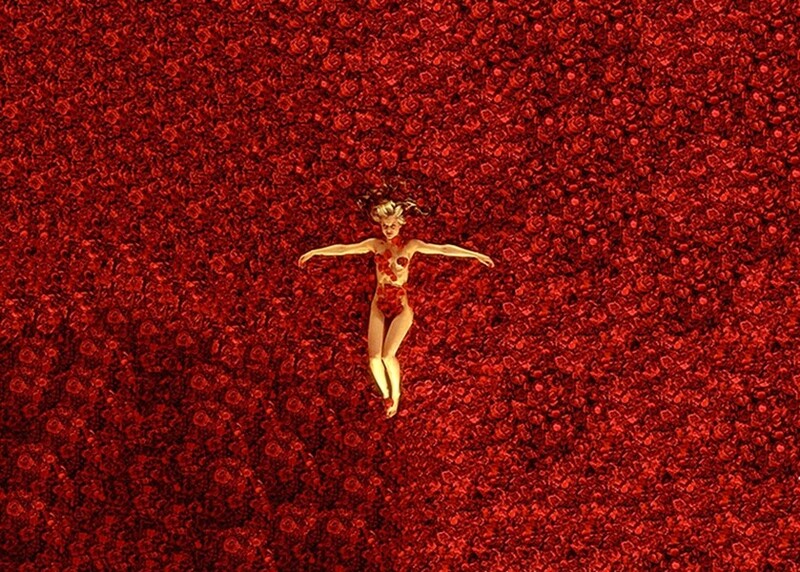 It plays a key role in Lester Burnham's fantasies about his teenage daughter's best friend Angela, who basks naked on a bed of crimson petals in one of the film's most iconic scenes. 2. Now a much-loved classic, The Wizard of Oz stunned cinema-goers in 1939 with its pioneering use of Technicolor and special effects. 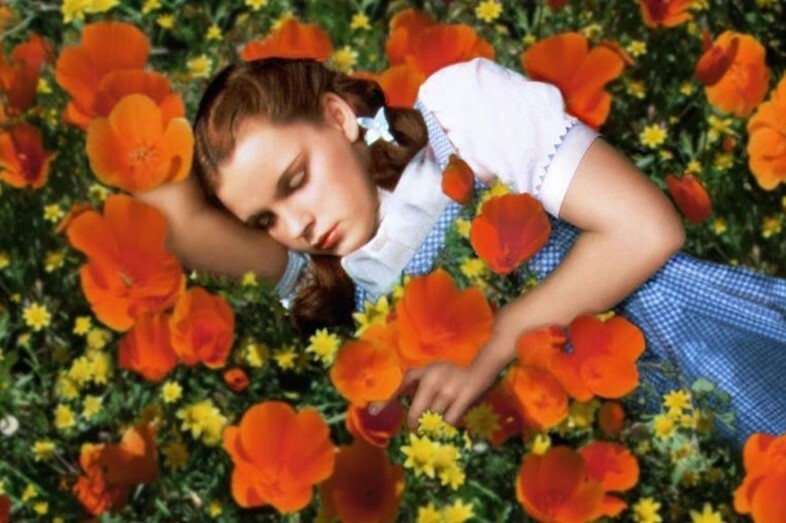 Its filmmakers took great delight in creating an Oz that brimmed with bold and beautiful colours, with few scenes more striking than the one in which Dorothy falls asleep amid a vast field of deadly, scarlet poppies. 3. Marlon Brando's monologue to Rosa, his character's dead wife, in Last Tango in Paris is considered by many to be the actor's magnum opus, and the scene is complemented perfectly by the arresting sight of Rosa in an open casket, caked in make-up and surrounded by a lavish bed of pinky-purple flowers. "I wish you could see yourself; you'd really laugh," he tells her mockingly. "You're your mother's masterpiece." As Brando's speech draws to an emotional close, he grabs petals from the flowers and desperately tries to wipe away the cosmetic mask from Rosa's face to great dramatic effect. 4. 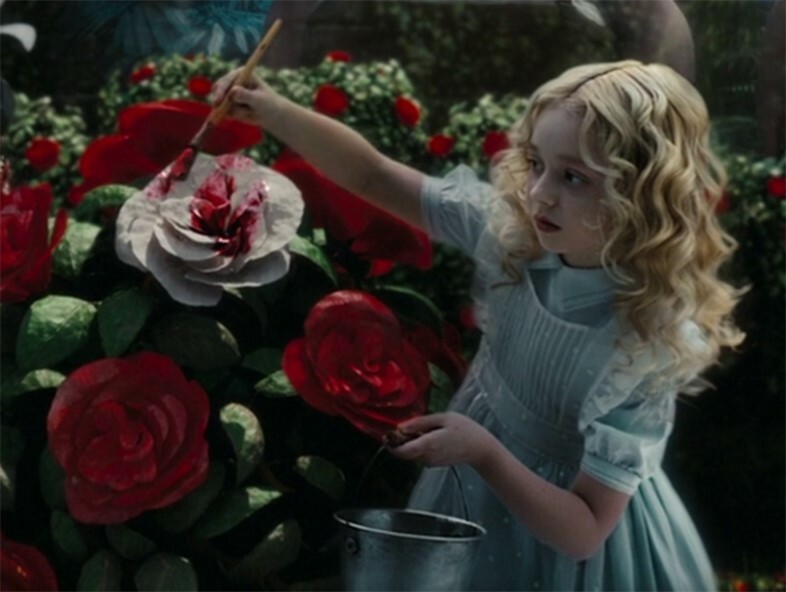 In Tim Burton's take on the tale of Alice in Wonderland, a now 19-year-old Alice returns to Wonderland once again to fulfil her destiny as the slayer of the Jabberwocky, a dragon-like creature controlled by the vicious Red Queen. Alice remains unconvinced of her ability to do this until she meets Absolem the Caterpillar, who reminds her of her visit to Underland (which she mistakenly called Wonderland) as a child, where she painted the demanding queen's white roses red. This is one of the original story's most memorable moments, and is brilliantly recreated in Burton's reprise. 5. 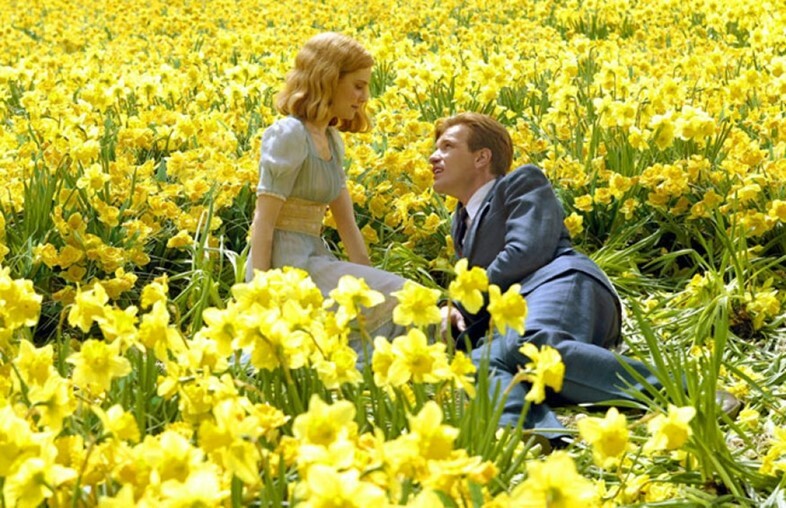 Ewan McGregor plays hopeless romantic Edward Bloom in Big Fish, the tale of a man who "tells his stories so many times that he becomes the stories." In one of the film's most mesmerising scenes, Bloom makes grand and surreal attempt to secure the girl of his dreams by planting an endless sea of bright yellow daffodils (her favourite flowers) outside her window. 6. Plucking the Daisy sees Brigitte Bardot in one of her earliest leading roles as the provincial Agnès Dumont, whose ambition to become a novelist takes her to Paris. There, a series of unforeseen circumstances and mistunderstandings lead to her partaking in a striptease contest complete with mask, pseudonym and a tantalising bralette made from faux daisies. 7. 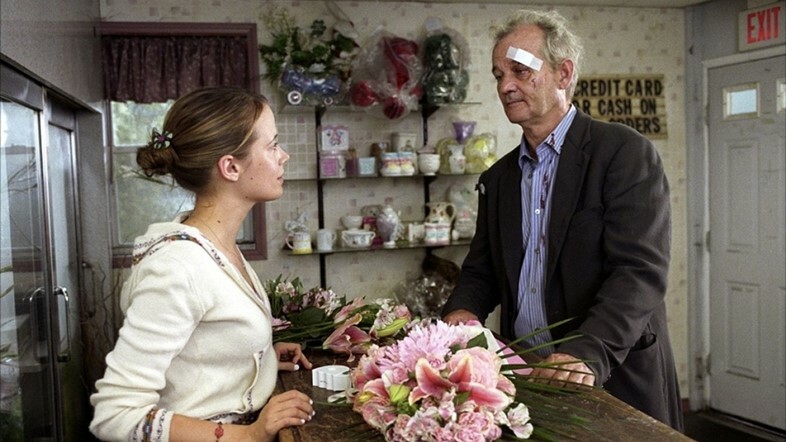 Broken Flowers centres on Bill Murray as Don Johnston, a man in search of an anonymous letter-writer who claims to have fathered a son by him. There are 5 ex-girlfriends in the running, and Don finds himself increasingly in despair as he ticks them, one by one, off his list. Here, prior to the fifth and final meeting, he enters a flower shop and takes solace in the kindness of the pretty young florist who dresses his wound (inflicted by "ex number 4") and creates a beautiful bunch of pink carnations and lilies. The same flowers and pink colour scheme occur throughout the film – in floral centre pieces and the clothing of the women he visits. 8. 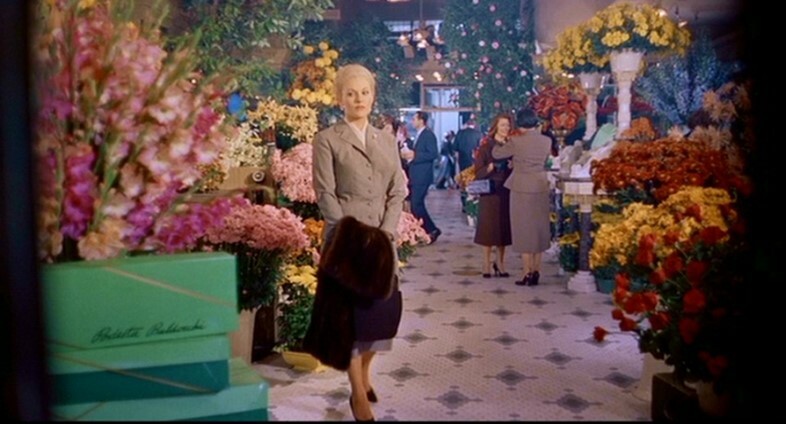 Flowers are also a recurring motif in Hitchcock's masterpiece Vertigo – the story of John "Scottie" Ferguson (James Stewart), a newly retired detective employed by an acquaintance to follow his wife Madeleine (Kim Novak), whom he believes to be possessed. At the beginning of the movie, Madeleine enters a magnificent florist and buys a beautiful and delicate bunch of flowers. These are perhaps representative of the character herself – later, in a highly fragile moment, Madeliene tears the flowers to shreds. The bunch also appears in Scottie's iconic and foreboding dream sequence, directed by graphic design master Saul Bass. 9. Pete Postlethwait plays Boston crime lord Fergie in Ben Affleck's 2004 movie The Town. The character – who upholds a legitimate front as a Boston florist – was loosely based on Irish American mobster Dean O'Banion (1892-1924), himself a successful Chicago florist and excellent floral designer. 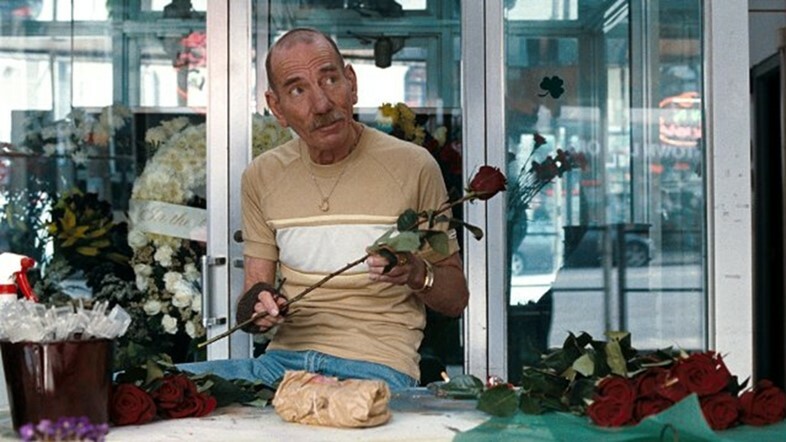 A number of scenes depict Fergie in the flower shop arranging exuberant bouquets, in potent contrast to his otherwise violent nature. 10. This famous scene from the film adaptation of Arthur Golden's acclaimed novel Memoirs of a Geisha pays perfect homage to the cherry blossom, a stunning tree of great cultural significance and symbolism in Japan. Here, protagonist Sayuri goes for a walk with the enigmatic Chairman – the one man she loves but cannot be with – and stands beneath a cherry blossom tree which sprinkles its delicate pale pink petals upon them like snow.